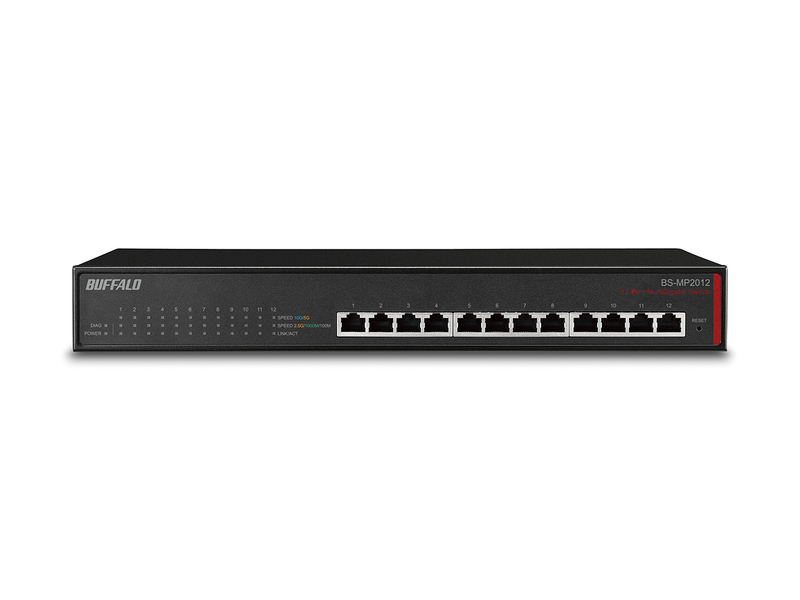 Buffalo’s BS-MP20 is an entry-level Multi Gigabit Business Switch supporting network scalability for 1 / 2.5 / 5 / 10Gbps. 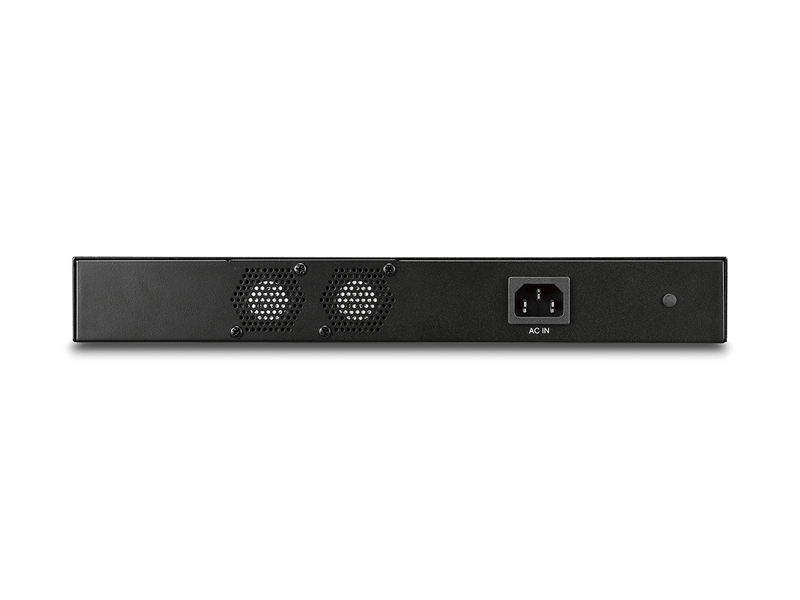 This device is ideal for gamer PCs, desktop PCs, servers, NAS storage and AC Wave 2 Wireless Access Points. Until now, 10GbE was an expensive technology and only for enterprise, but not anymore. 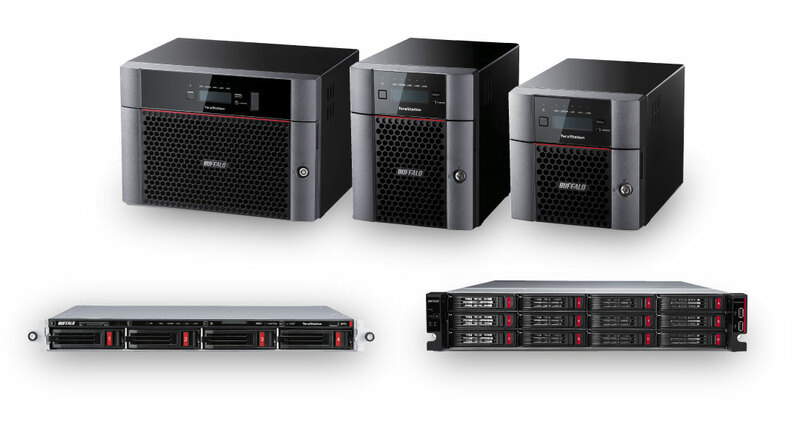 With an affordable price (starting at $499.99 MSRP), SMB/prosumers can benefit from the latest technology, and be ready for future data increases. With growth in data & file sizes, and lower-cost 10GbE products; Prosumers/SMBs can now benefit from 10GbE networking. With 10GbE compatible devices and category 6A (Cat 6a) or higher rated cables, you can improve your office productivity by eliminating network bottlenecks and shorten data backup time dramatically. The BS-MP20 offers the following major business features to meet your demand at an affordable price point. 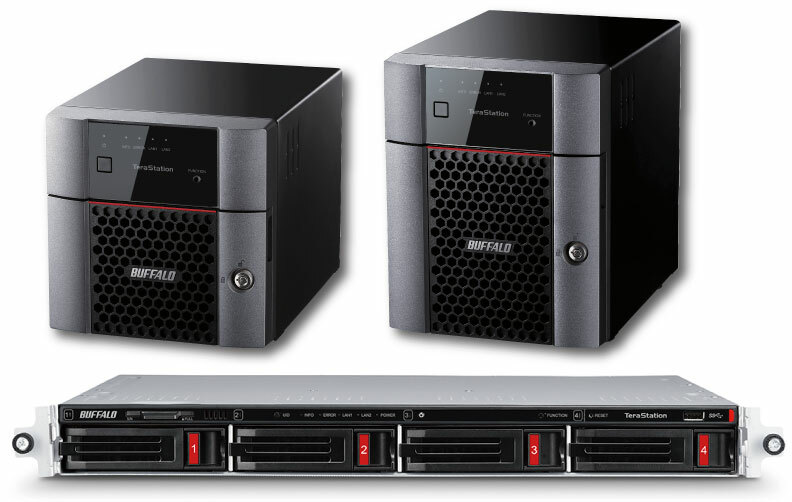 Buffalo offers an easy & reliable solution through our business switch lineup. Register for your lifetime warranty here. Download 2018-29-05 2.0.5.3 BS-MP series FW version 2.0.5.2. IF YOUR CURRENT FW VERSION IS BELOW 2.0.5.2 YOU SHOULD UPDATE TO THIS VERSION FIRST PRIOR TO UPDATING TO 2.0.6.8 OR HIGHER! 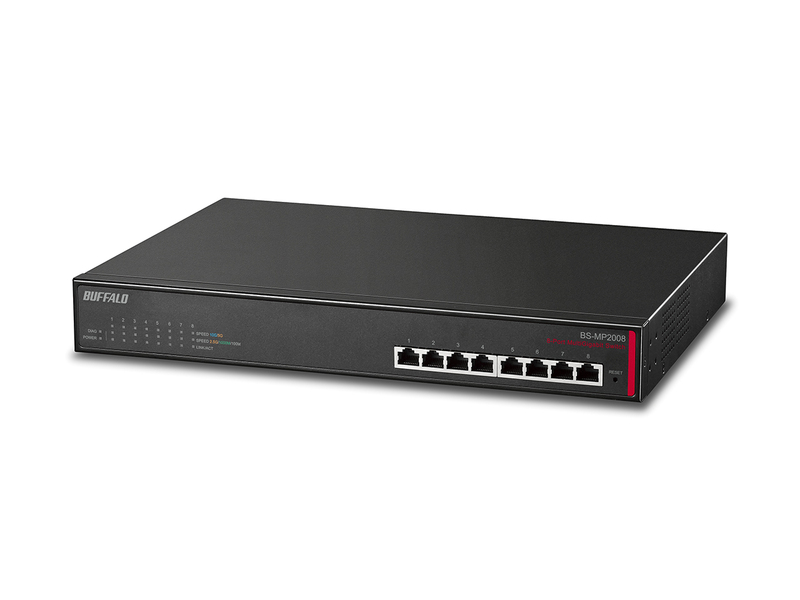 Download 2018-22-05 2.0.6.8 Firmware update for BS-MP2000 series 10GbE switches.